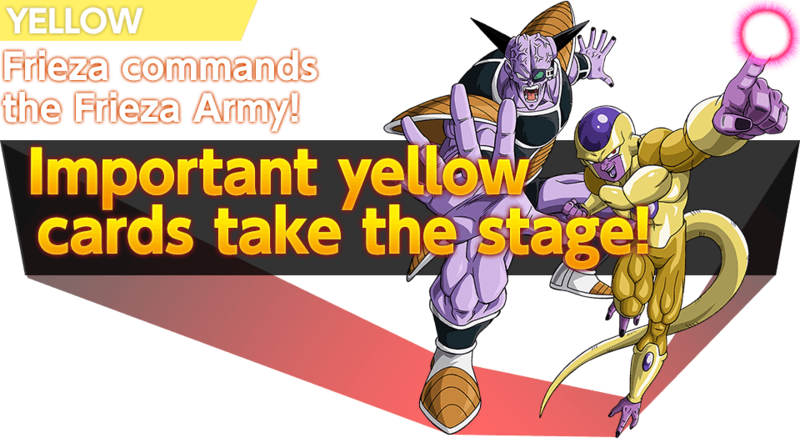 Let’s take a look at blue and yellow cards from Galactic Battle! The fateful showdown between Goku and Frieza returns! 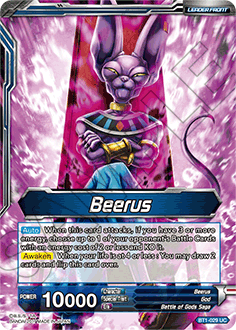 Beerus, God of Destruction appears as a blue Leader Card! 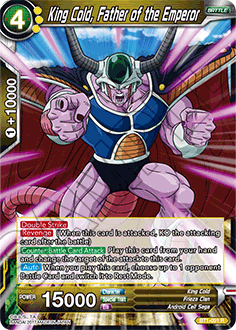 True to form, he has a terrifying skill that obliterates the opponent’s hand every time he attacks! 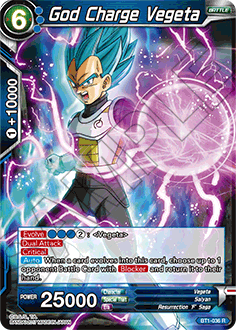 He’s also the only card with a skill that lets you instantly win the game once you amass 16 energy! His skill allows him to gain Critical by drawing a card from your life cards! Use your life cards to your advantage and go on the attack! 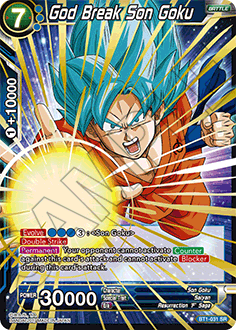 Super Saiyan Blue Son Goku has arrived, and no cards can use Counter or Blocker to defend against him! The perfect card for delivering the coup de grace! A powerful card with Evolve, Dual Attack, and Critical! 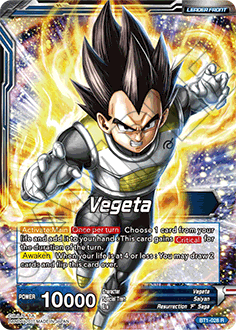 If you’re building a deck based around Vegeta, this is a great pick! 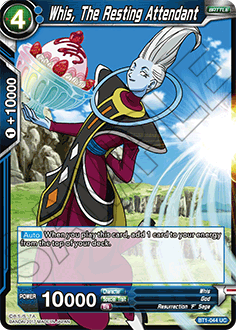 Whis increases your energy when he enters play! 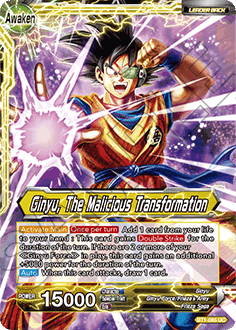 Combine him with <BT1-040 Bulma, God Tempter> and you’re practically guaranteed to draw him! An essential card for any blue deck that wants to accelerate their energy! Play it at the game’s outset and take control! 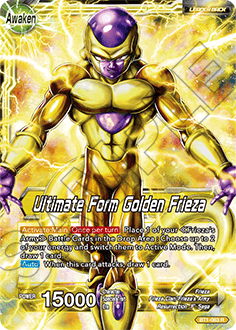 Golden Frieza has ascended! 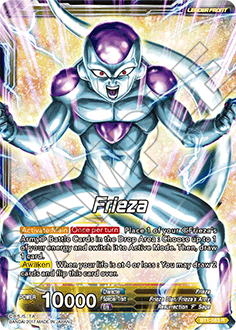 As you might expect, he sacrifices his allies to recover energy – a skill as cold-hearted as Frieza himself! Is that Goku?! 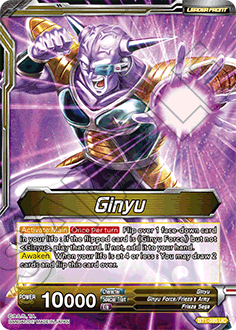 Don’t be fooled - it’s Ginyu in there!He gets a power up from having other Ginyu Force cards: the perfect choice to build a Ginyu Force deck around! Just having Triple Strike makes him a threat, but evolving into him and nullifying the rest of the board is where his true terror lies! 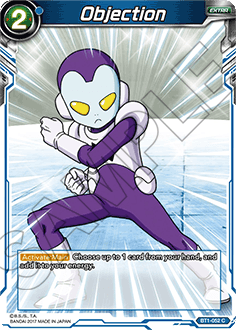 With a mix of both Revenge and Counter skills, King Cold freezes your opponent’s offense solid! An excellent choice for any disruptive yellow deck! 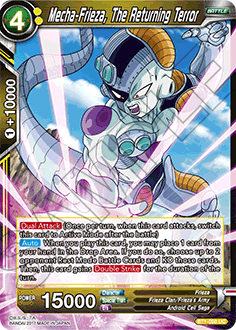 Mecha-Frieza wreaks havoc when he enters play, letting you discard a card from your hand to destroy two of your opponent’s cards in Rest Mode! 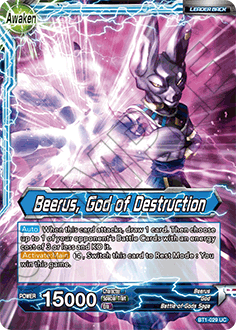 And he still gains Double Strike either way, making him a truly fearsome card! 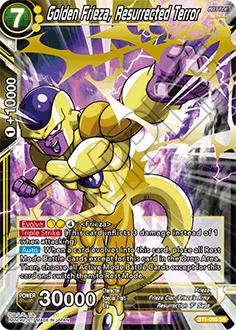 Combine this with your yellow Leader Card to nullify your opponent’s current attack! 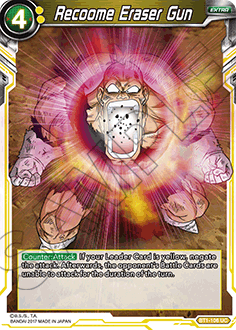 Even if your Leader isn’t yellow, the Eraser Gun still prevents the opponent from attacking, making it the ultimate disruption card! 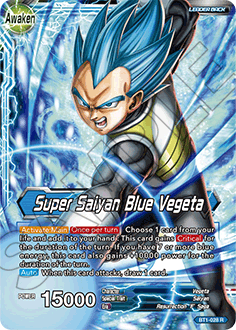 Blue uses energy to accelerate quickly, attacking with powerful cards from a dominant position! Yellow excels at disruption, so get inside your opponent’s head and go for an all-out assault!